Code-Red wrote: We don't have anything other than clothing, glassware, and boardgames in our Goodwill stores. I watch LGR's thrifts and wish we had that kind of stuff in ours. and it still has the $7 price tag on it. My biggest score was probably a couple of VCRs believe it or not. I can't remember the model number but they were high end production machines. I bought them for $5 a piece and sold them on ebay for over $200 a piece! There is a Goodwill probably about 40 miles from me that I don't go to very often, but the last time I did I saw the same cassette machine I used to buy for $5 priced at $30. Zoidberg I hope you can one day recover the old forums, I'd really like to look through my old Goodwill thread! Calavera wrote: Zoidberg I hope you can one day recover the old forums, I'd really like to look through my old Goodwill thread! I might be able to take some screenshots of the thread. And maybe make a note of all our usernames. This is an old buy from several years ago, don't remember if I posted it in the other thread or not. Figured I'd post about it now since it is the first time I've actually used it! It still has the original $59.99 price tag on it. I remember it being at goodwill for quite awhile for $20 which was too much for me and apparently for everyone else aswell. One day it was half off so I figured for $10 why not? I may have a use for it one day. The day has finally come I have a use for it. I've been messing with Model 3 emulation here recently and this wheel is perfect for those old arcade games. I wasn't going to bother hooking it up because usually I hook a wheel up and it's like eh, it's easier just to use the controller. But using this wheel actually made the arcade games alot more fun and easier to control. I had alot more fun playing Scud Race in 1080p widescreen with my Microsoft wheel then I did playing it on the busted arcade machine at the arcade in the dead mall. $2 a game, free play for mall ghosts. I figure I'll put it in one of my old computers with an AGP slot and test it out, no dice. It doesn't fit in the AGP slot and it clearly isn't PCI, I looked into it and it will only work in an AGP 2x slot. I dig through all my all computers and none of them have a 2x slot...except one. An old machine with an Intel Slot 1 motherboard. Only problem no processor in the slot! My cousin happened to have an old Slot 1 Pentium 3 laying around, it isn't compatible with the chipset of that board but I plugged it in anyways. It detects it as a 98mhz MMX CPU then freezes. But with the Voodoo5 plugged the first thing it displays is the Voodoo5 5500 bios screen so I know the card does at least function. Looking on Ebay I see they are going for insane prices, $200+! I plan on selling it and really want to test it out with games to make sure it is all good before I do that. So about an hour ago I won the auction for a Celeron 333mhz slot 1 CPU for a grand total of $3.99 including shipping. So I'll have about $7 total invested. I'll load Windows 98 on that machine and run 3DMark 01, play some Quake and a few other games and show that it works. I imagine that will make it sell better showing everything working on it. There is currently one on Ebay that ends in 3 hours and is at $207! OrangeRibbon wrote: Why is it so expensive? I guess because it is the top end 3dfx card, so if you have an old PC you want to use to play Glide supported games the 5500 is the best there is. I still don't understand why people pay THAT much for it though. I didn't mention it in my first post but in addition to the 5500 they also had a Diamond Monster 3D Voodoo2. It was also $2.99. It is one of the older ones that you have to use a pass through cable from your 2D card into it as it only does 3D. Looking at ebay's sold listings they have sold for $55 and $90. I was about to just list it as-is and sell it untested but then I remember I have a Windows ME machine. So I stuck it in there and installed the drivers. My plan was to load up a Glide game then pull the monitor cable from the onboard video and put it into the Voodoo card. I loaded up a Quake 2 demo, changed the settings to Glide switched the cables and it worked! It is pretty amazing to find 2 Voodoo cards at goodwill. 1: because the voodoo cards shat all over nvidia and ATI at 3D graphics at the time, they're the best for period 3D gaming. 2: because 3DFX doesn't exist anymore. Did I mention that they shat all over Nvidia and ATI?? Because that was an understatement.. You didn't bother playing 3D games on PC without a voodoo, It's night and day. The only reason nvidia got so good is because they bought most of 3DFX's assets, before 3DFX They didn't have any cards worth owning 2002 or 3 from memory. This is true, the first video card I ever had was I believe a Voodoo3 2000. My god the difference in games going from software to that card was AMAZING! Like you said a night and day difference. I remember going back through and installing all my games that supported a 3D accelerator whether I played them anymore or not, just to marvel at how amazing the graphics looked. I remember a game called Powerslide looking exceptionally amazing. UPDATE: I have just sold the Voodoo2 for $75 + $7.50 shipping! Calavera wrote: I remember a game called Powerslide looking exceptionally amazing. I still have my physical copy of Powerslide. It was my go-to game for whenever I wanted to see how much better a new video card was. I loved that game despite how difficult it was. I probably still have my copy laying around somewhere. I still have all my old PC games, I need to dig it out and try it when I test out the Voodoo5. I remember just being in awe of the graphics back then. 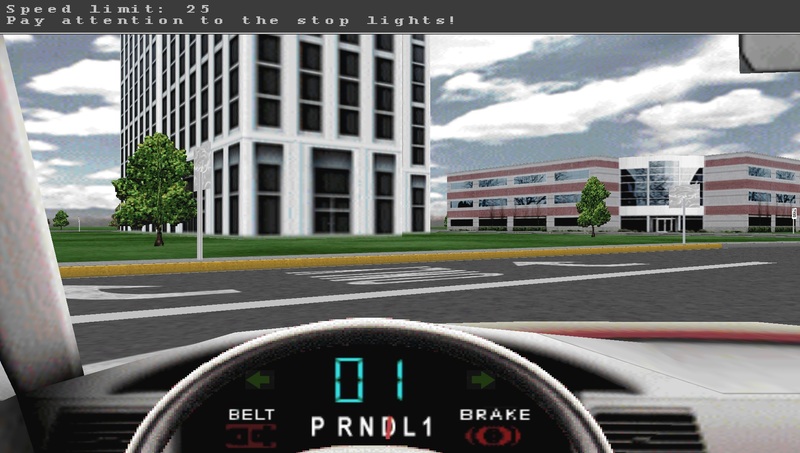 The absolute worst glide supported game I've ever played is Driver's Education '99. The only difference running it in glide mode did was add trees, and not even cool 3D trees. Just crappy little sprite trees. See those trees, that is the only difference! No improvement to the ingame graphics just trees! I can't imagine why the developers even added support for it. It looked better running in software mode at a higher resolution then in glide at 640x480. Picked up a Microsoft Trackball Explorer yesterday for $0.99. Only problem is the ball is missing. I have an extra ball from my old Microsoft Trackball Optical but the ball for the explorer is probably 3 times bigger than a standard ball but for $0.99 I figured I'd pick it up and maybe come across a cheap ball for it. I soon found that for whatever reason the Trackball Explorer is in high demand and goes for some pretty crazy prices. I put it up on Ebay and sold it for $45 within a few hours. I also sold the Voodoo5 5500 about a week ago for $167.50 + $15 shipping. Some pretty decent profits! 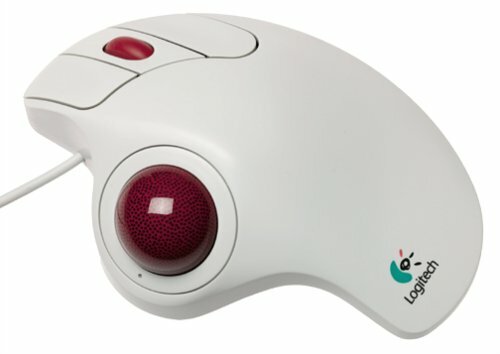 Just wanted to post a picture of the Trackball Explorer to get your opinion on it. 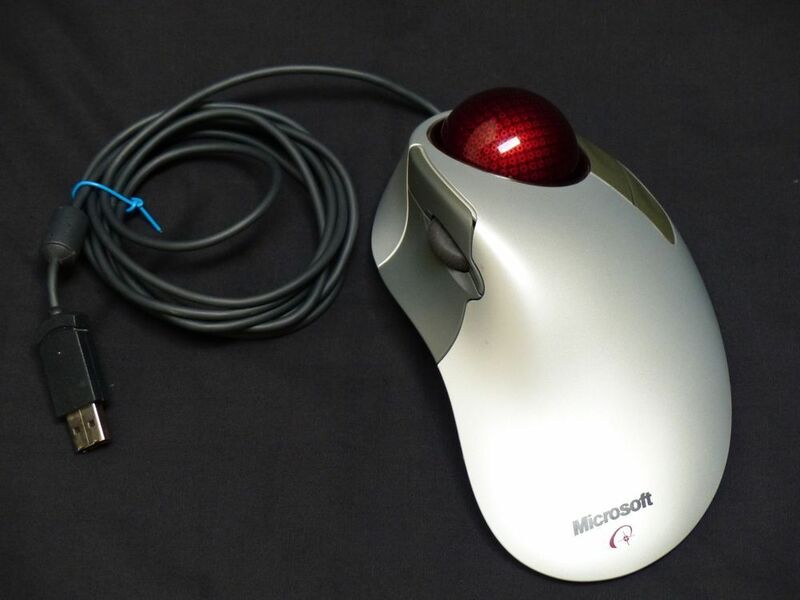 I've read alot of reviews and such of people claiming this is the best mouse ever. You have your left and right mouse buttons + scroll wheel on the left side, then a forward and back button on the right side. It's OK I suppose. I'm just not digging the trackball being in the middle. You would use your index finger to move the ball around, which if I used one enough I could probably get used to it. I just don't see the big advantage over a standard trackball. I could understand if some people prefer the Explorer style setup. What I don't understand is why the Logitech mouse is around a $20-$30 mouse, and the Explorer is anywhere from a $100-$200 mouse. A few months ago I found a SNES AC adapter for $0.99. I had no Super Nintendo but thought for $0.99 why not go ahead and pick it up. About a week later they had the RCA cables for a SNES, again $0.99 so I picked them up. A few days ago I'm in goodwill and see a SNES in the glass case they have up front, I figured they'd want so insane price for it. It was $14.99 for the console and a game called Gemfire. I got it home and hooked it up and it works perfect. I already had an extra controller laying around for it. I have never heard of Gemfire and assumed they left it in the console because it was some game that was only worth $3 or so. Nope, looks like it goes for about $30. A SNES console and cables looks to be going for around $70. So a pretty good buy. $15 for $100 worth of stuff. Found a Sanyo Betacord Model 4025 today for $5.99. Plays just fine. Only the second Betamax machine I've ever come across in my goodwilling adventures. The first one I ended up selling for almost $200, this one isn't quite that valuable. Still probably around $50 maybe more. Betamax was higher quality than VHS but didn't catch on as much. I think recording limitations 1hr on Beta and 2hr VHS was a deciding factor in the format wars back then. Picked up a couple things the other day. A Sony SA-WMSP1 powered sub woofer for $5. The old Phillips subwoofer I had hooked up from around 1997 sounded pretty good but this sound pounds hard! Also picked up a Sony STR-K502P receiver also for $5, already have a receiver but for $5 I might as well get a spare. They also had an NES game on the shelf, Mickey's Adventures in Numberland for $2.99. I looked at it and thought eh this is probably only worth about $10, not worth it to make like $2 after shipping and fees on ebay. Later on after I was home I decided I'd look it up....oh no what have I done! It is selling regularly from about $50-$70 cart only. Damn! Goodwill opens at 9am, I was wanting to get there right when they opened but didn't make it until about 3:30pm. I figured it was long gone, but behold! There it was still on the shelf! I go to check out and pay, the guy at the register informed me that he is the one who priced it and if you price something you have to wait so many days before you can buy it. He had planned to buy it when he got off work in about 45 minutes. They usually write on everything with a marker, but he put a piece of tape on it and wrote on that as to not damage the cartridge. I'm sure he wasn't happy but I he has probably gotten plenty of deals from working there in the past.